This morning I had my 37-week doctor's appointment to check the progress little Alli is making. At my past two appointments (35 and 36-weeks), I have been dilated 1 cm and only about 20-30% effaced, so I was thinking that there wouldn't be much more progress than that (and hoping that there wasn't much more since Josh is gone all weekend through Monday). However, the nurse practitioner said that I am dilated in between 2 and 3 cm and 50% effaced. I am excited to be making progress, but I really hope that Alli doesn't decide to be born until Josh is able to be with us! He is off-shore somewhere and will be pretty difficult to get a hold of for the next few days!! Say some prayers for us please! 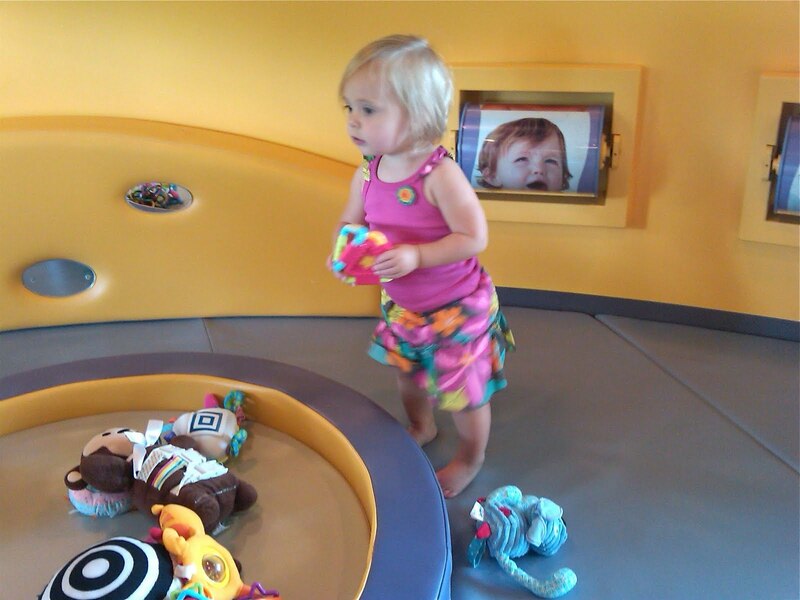 On a different note, after the doctor's appointment, my mom and I took Lila to play at the Houston Children's Museum for a while before eating lunch at Ruggles Bakery in Rice Village. Lila had a great time playing at the Tot Spot, and it was so much fun to see her enjoy the area since this is the first time that we've been back since she's been walking. 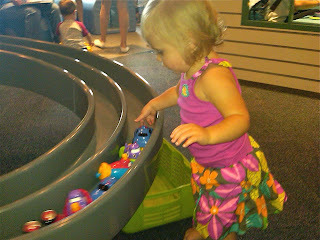 She is going through the terrible twos already and is having a really hard time sharing with others, so this was a good opportunity to have her work on sharing and not taking toys away from other kids. 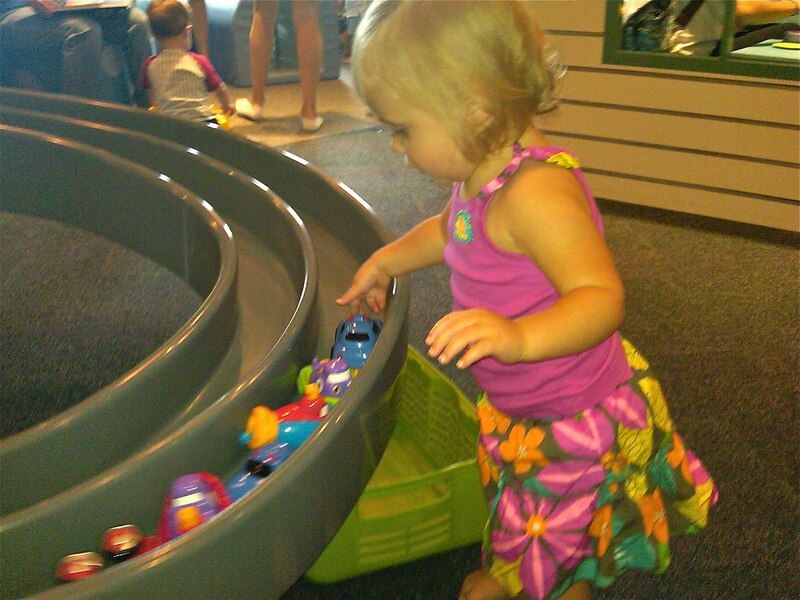 Boy, is toddler-hood much harder than the baby stage!?! 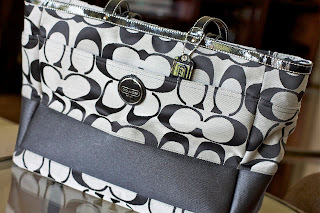 In other exciting news, I won this gorgeous Coach diaper bag from Baby Love Ultrasound today!!! I was so shocked and excited when they called because I have NEVER ever won a raffle, or really anything drawing-related, in my life! Isn't she a beauty?!? WOW! How lucky!! Congrats :) Love that bump too! Hang in there Alli girl! Wait for your daddy! I have that bag! I didn't use it as a diaper bag, though. I carried around my law school crap in it. I LOVE it so much. Since law school is over, maybe it will be a diaper bag one day. Glad to hear all is well with your cute little family! What an adorable bag! Love it! Hope you're feeling well now that you're soooooo close!